Perspectives of the Passenger. | Grant Haffner. | | Quiet Lunch. Perspectives of the Passenger. 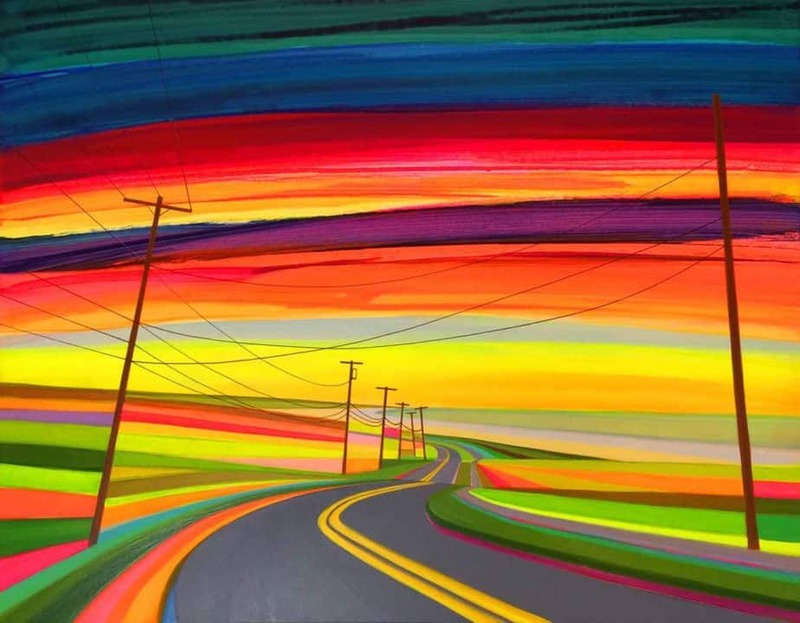 | Grant Haffner. 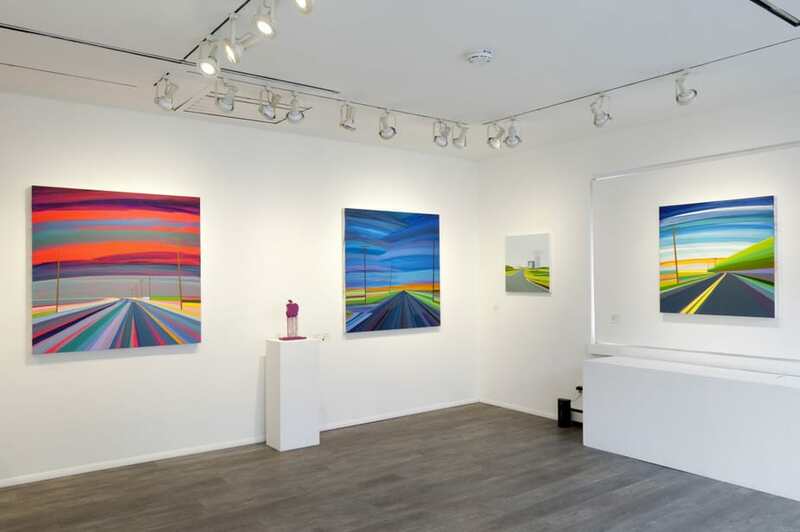 American artist Grant Haffner recently opened his first solo exhibition in 11 years at Roman Fine Art in the Hamptons. 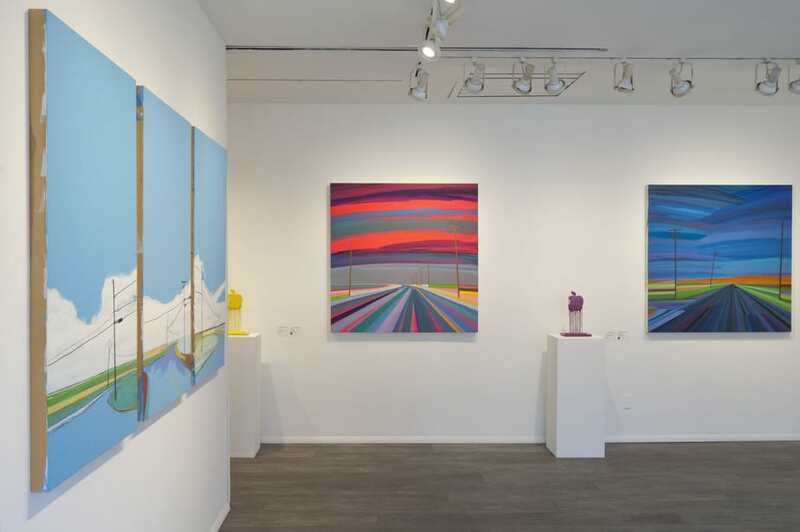 Thematically titled “Mohawk Trail”, the exhibit reflects the twisting roadways of the famous trail Haffner explores, presenting a new body of work that introduces a shift from the artist’s previously ubiquitous depictions of roadways and routes in the Hamptons. 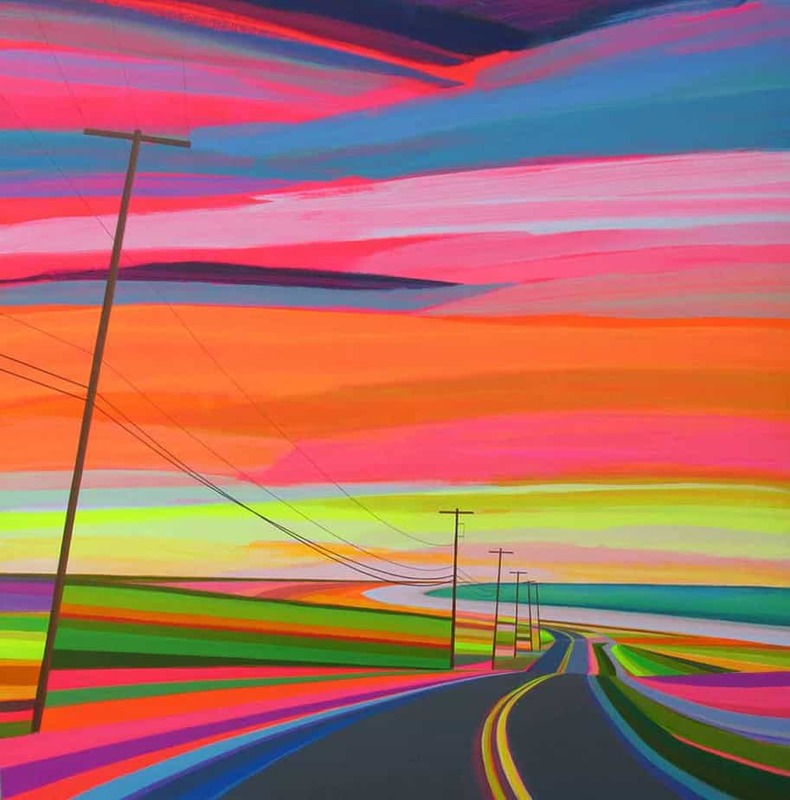 Known for his sprawling and colorful representations of Hamptons roadways at sunrise and sunset, Haffner’s work taps into the often overlooked, uniquely American experience of road-travel. 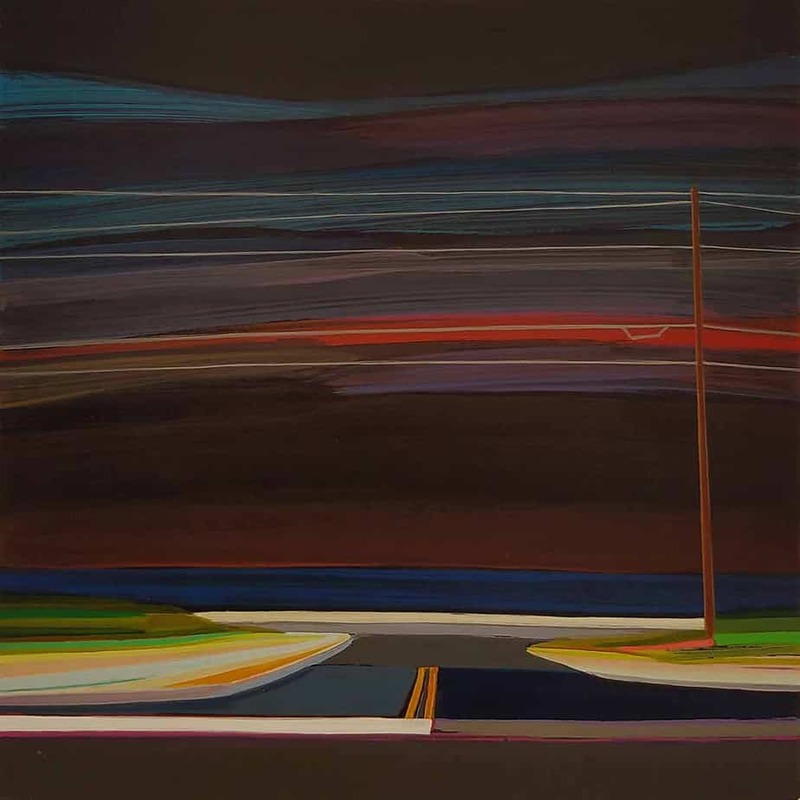 Through his process, Haffner captures the fleeting moments of flickering scenery and corresponding emotions a traveler experiences – the thrill that accompanies twists and turns of a mountain road; the mystery surrounding tall, cutting shadows of trees casting dark silhouettes on winter snow. 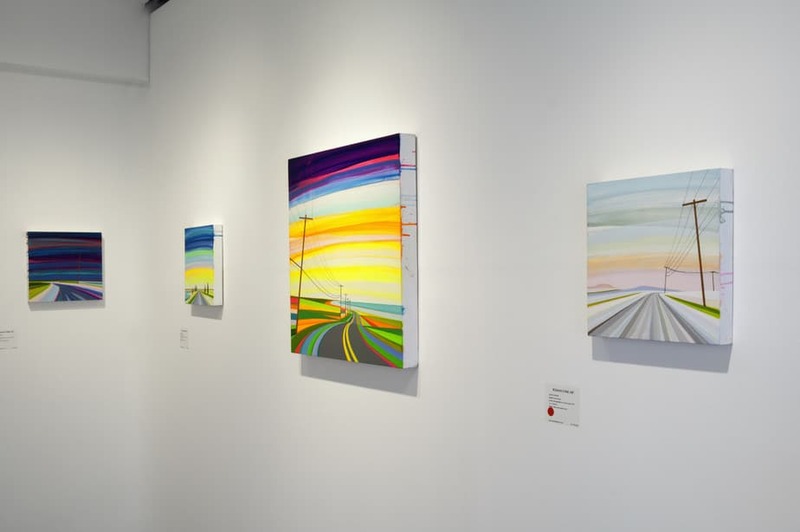 The viewer becomes the passenger, and Haffner is the driver. 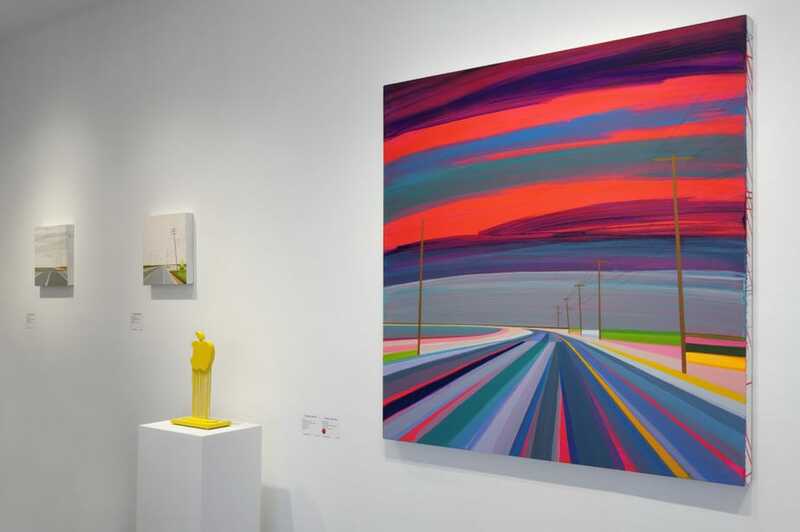 Mohawk Trail is flanked by the Berkshires and is considered one of America’s most beautiful drives – and is conveniently located close to the artist’s new home. 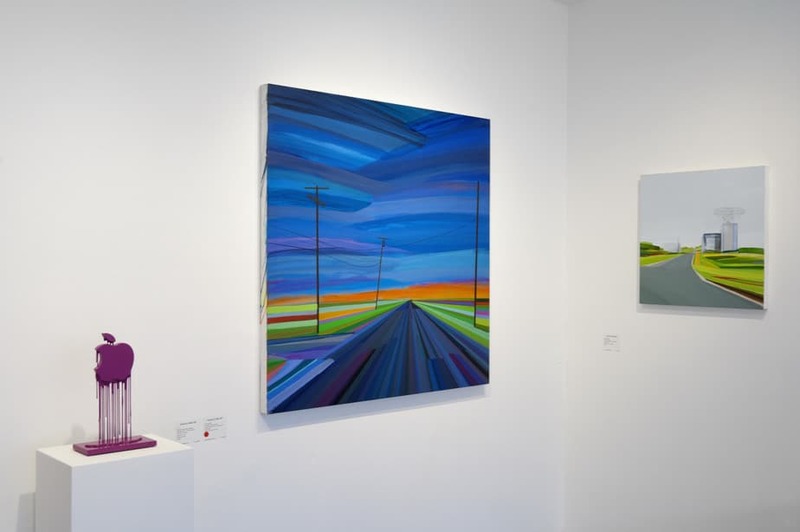 Originally a Native American trade route connecting Atlantic tribes to those upstate, the trail now offers access to numerous arts and cultural institutions along with significant early-American artifacts. 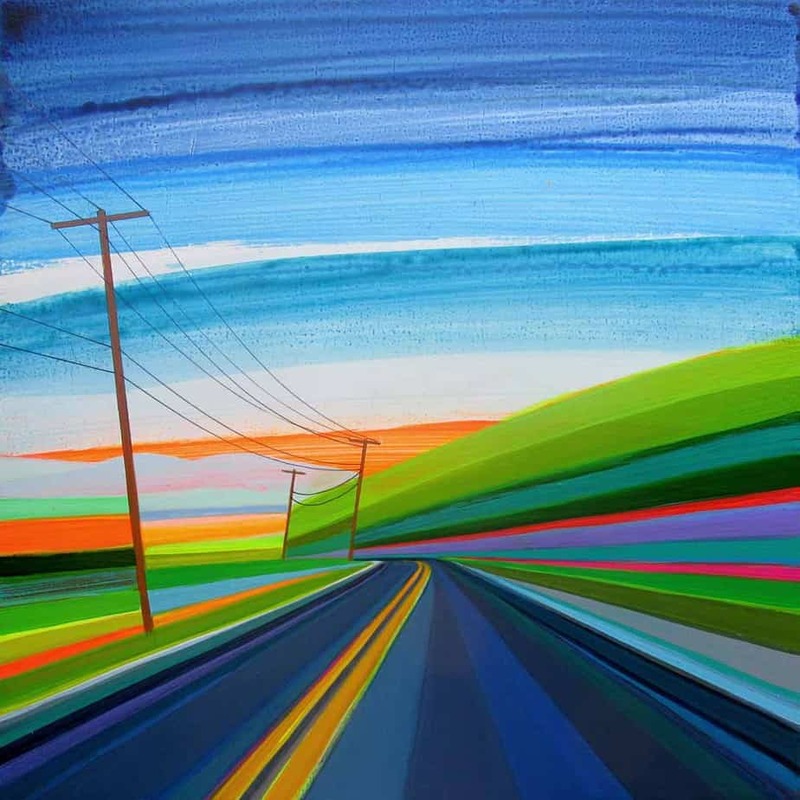 Haffner’s roots in the area spread much deeper than the scenic draw of the Berkshires of the cultural history the area possesses – he studied Plant and Soil Sciences at UMass Amherst and spent a few years exploring Western Massachusetts before returning to the Hamptons and beginning his career as an artist. 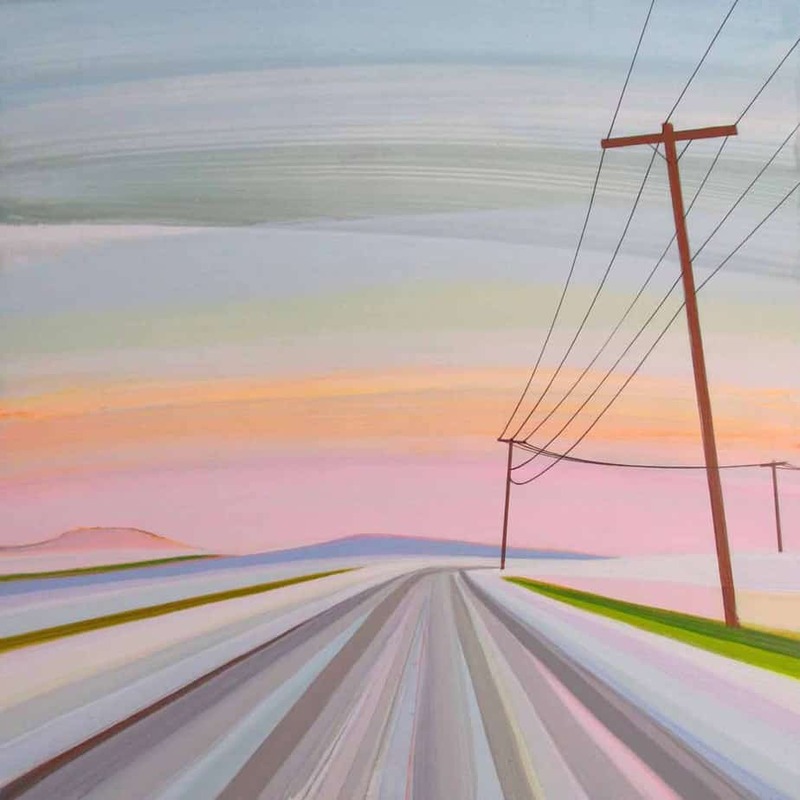 Drawn back to the area by fondness for the beauty of the hills, mountains, farmland and winding roads made Haffner’s relocation a second homecoming, as a student exploring through space and color rather than soil and flora – and came with the opportunity to capture this nostalgia in his work. 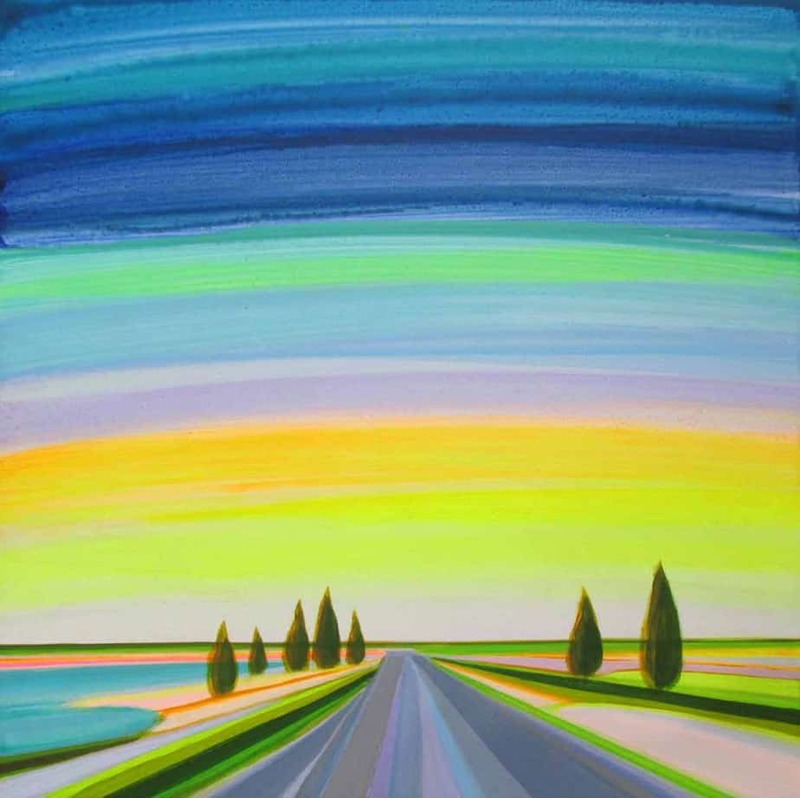 The mountain scenery and rolling country roads and farmland present a stark contrast to the flat, low horizons of Long Island, which is notable in Haffner’s adapted color palette. 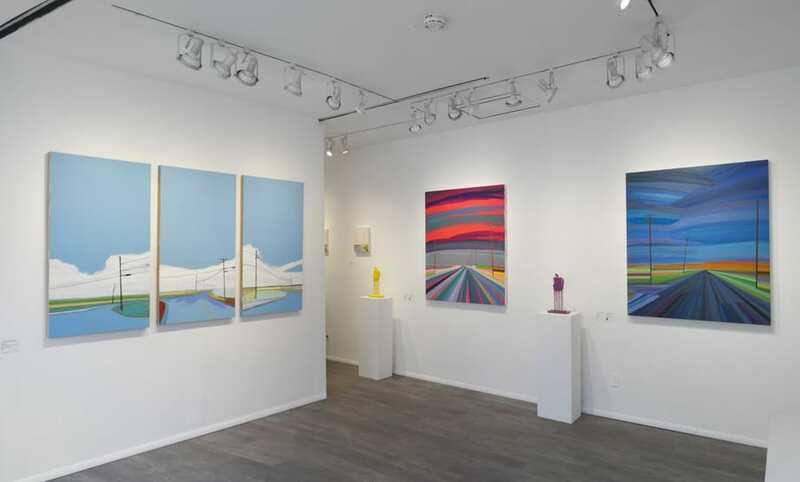 Soft colors and darker tones replace the bright, striking pigments of his Long Island series. 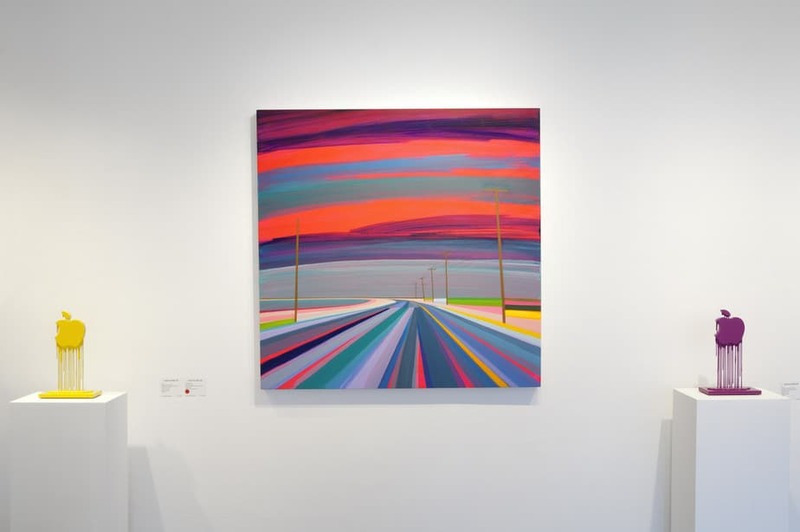 Mostly, however, Haffner’s depictions of Mohawk Trail present a new perspective to his passenger – bringing new depth, height, and thrill to the roadways he paints.